Fill out and submit the application form by Nov. 5, 2017! The Pemberton Art's Council, over the past almost four years has been fortunate to have been directed by Marnie Simon as our president. With Marnie at the helm, working with dedicated volunteers, the organization has grown and strengthened. Marnie, has decided to pursue other opportunities and has stepped down as PAC president. Thank you, Marnie for your time and dedication to seeing arts in Pemberton thrive. Anne Crowley is now serving as the Board President until our February, 2018 AGM. Karen Love has returned to the board filling the empty seat. The PAC Board will continue to lead the way in supporting our local artists and bringing quality art and culture experiences to the community. Please see Marnie's final President's Report below. This will be my last report as president of the Pemberton Arts Council. I have handed over the office to Anne Crowley as of this meeting. I have enjoyed my almost four years leading the PAC team plus the two years on the Cultural planning committee prior to taking on this role. However, due to other commitments and some health issues I feel it is time to withdraw. I will always remain a loyal PAC member and be available to support art and culture in our community in any way I can. Thanks to Karen Love for rejoining the board to assist with this gala. Maureen Douglas was also most supportive and facilitated a community forum for us to seek input into future PAC programming. She also provided the board with a workshop on team building and facilitated our 2014 AGM. Anne Popma was our facilitator for our strategic planning workshops and we benefited from her years of involvement with art and culture in the corridor. Since 2014 we have followed this five year strategic plan – this plan was updated in 2016 to guide the direction for 2017. We also obtained a number of grants over the four years; the most important being the Community Initiatives & Opportunities grant for three years of funding for an administrative assistant. The SLRD matched these funds. This grant is in it’s second year with money remaining to fund the position for 2018. PAC has the option to apply for another year within the criteria of the VOP grant ($4,000 for the year). Other grants have supported programs and events over the four years: MADE, Children’s Art program, marketing/membership drive and the recent $2,000 to support the fundraising gala Mountains of Art. 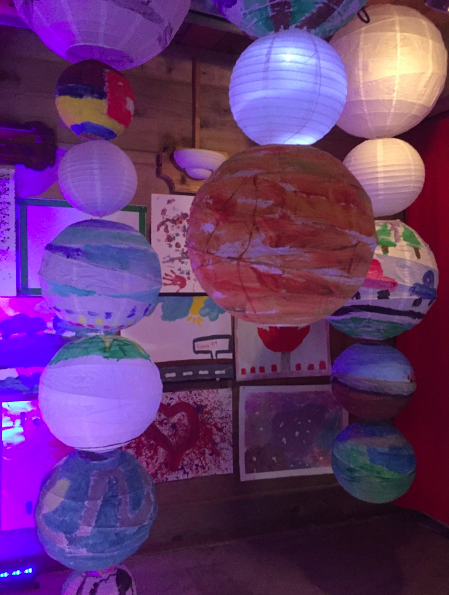 PAC has formed some valuable partnerships during this time: membership in the Sea to Sky Arts Council Alliance, partnered programming with the Museum, Library & the Gingerbread House fundraiser. For the past two years I have been a Board member of Tourism Pemberton - to represent Art in our area. It has been rewarding personally to see the growth of PAC and I have confidence that the organization will continue to flourish and take the lead in raising awareness of local artists and providing art programming and events that will be enjoyed by all. 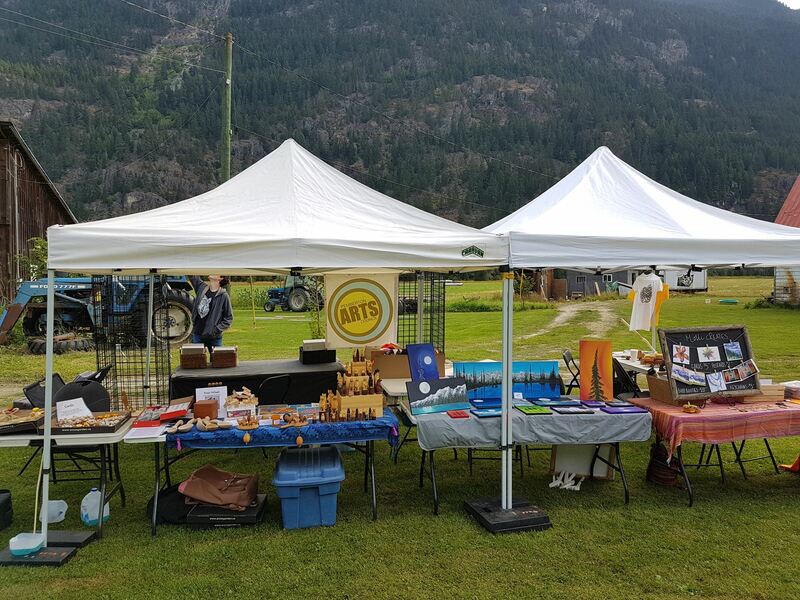 Slowfood Cycle Sunday is always a highlight of summer in Pemberton! Once again the PAC Art on the Farm tent was set up at the beautiful and festive, Across the Creek Organics Farm. Artists Bill Wm S Reynolds, Molli Reynolds, Vanessa Stark Art, Laine Curtis and Jay Paul Kawatski had packable art works for sale, all sized to fit in a backpack or bike basket. Participants came by the tents in droves to enjoy and purchase local art. Pictured above is the tent before peleton arrived. 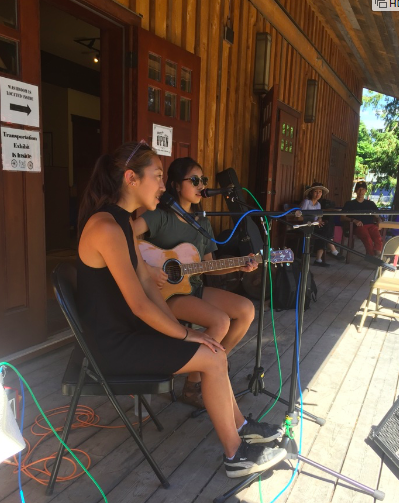 The Pemberton Arts Council held their second Art & Garden Festival this past weekend. Participants enjoyed the beauty and discovered the history of the gardens and farms on the tours in the Pemberton Valley and the Birken areas. Local artists displayed their art in these lovely garden settings and musicians entertained as the guests strolled or enjoyed lunch in the two beautiful outdoor settings — Pioneer Park in Pemberton and Gates Lake Community Park. The PAC board would like to thank the generous garden and studio hosts: Heidi and Fritz Kym, Martha Sturdy, Cheryl Ross and Sara Stewart in Pemberton and Nancy and Rick King, Mike Rogers and Susan Reimer, Rozalind Stanton in Birken. Thank you also to the artists: Ingalora Dwyer, Taylor Williams, Martha Sturdy, Valerie Butter and Susie Cipolla, whose art was displayed in the Pemberton gardens. Thanks also to the artists who displayed in Birken: Meg Gallup, Wim Tewinkle, Hiroko Takayo, Karen Love, Sara Wray, Bill Reynolds and Rozalind Stanton. A big thank you to Cayley Alexander, Fernando, Sue Stern and Susan Holden, the talented musicians who entertained us. A special thank you goes to our sponsors Rona and Pemberton Valley Nurseries and for the help we received from One Earth, as well as Mathew and Penny from the WB sign shop. The success of the Festival was mostly due to the hard work of Anne Crowley, Patti Rodger–Kirkpatrick and Penny Maclean, members of the PAC Board who organized the event. Thank you on behalf of the Pemberton Arts Council to all who participated. Call for Artists to show & sell their art at the Art on the Farm at Slow Food Cycle on Sunday August 20th. on Miller’s farm. Artists are responsible to be there to sell their own art. PAC suggests it should be of a size to fit in a back pack or bike basket. PAC will provide tents (2) and tables. Please respond by August 18th to info@pembertonartscouncil.com. PAC takes 10% commission on any sales. The 'Best Decorated Float' with some creative kids aboard! 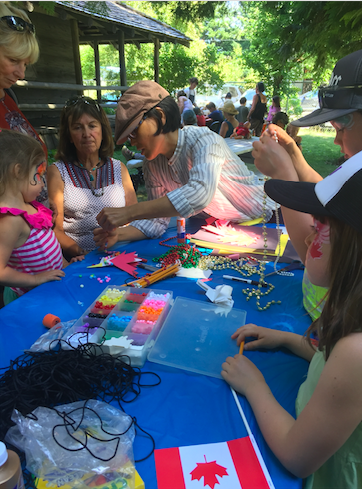 Thank you to everyone who took part in the Children's Art Festival and Canada Day! 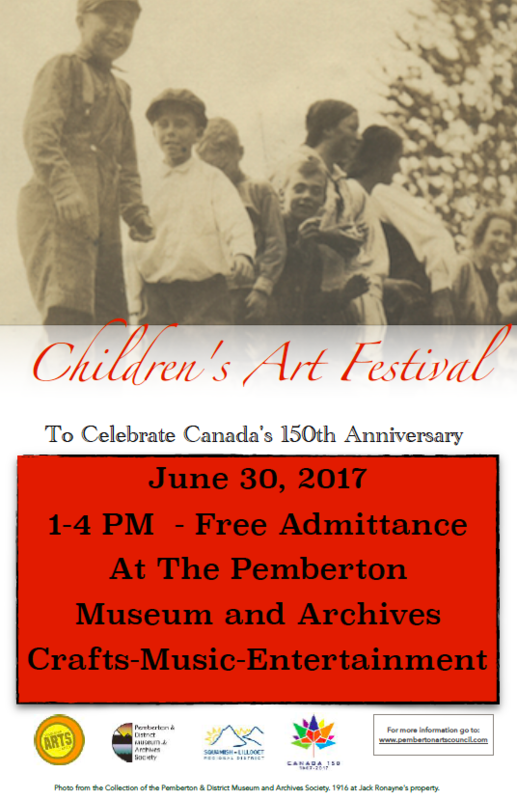 We hope to partner with the Museum again next year to make this a Pemberton tradition! 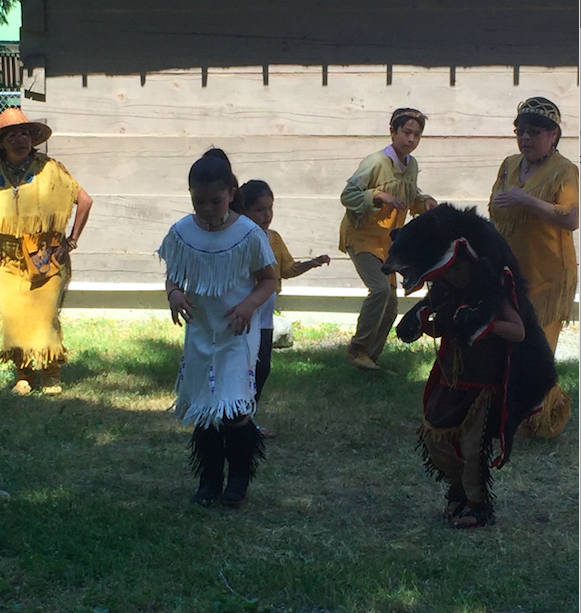 We hope you can join us for a welcome ceremony with the Lil'Wat Nation, the presentation of the After School Art Program's art installation, live music, crafts, games, cookie decoration and more! Thank You Real Estate Association of Whistler! 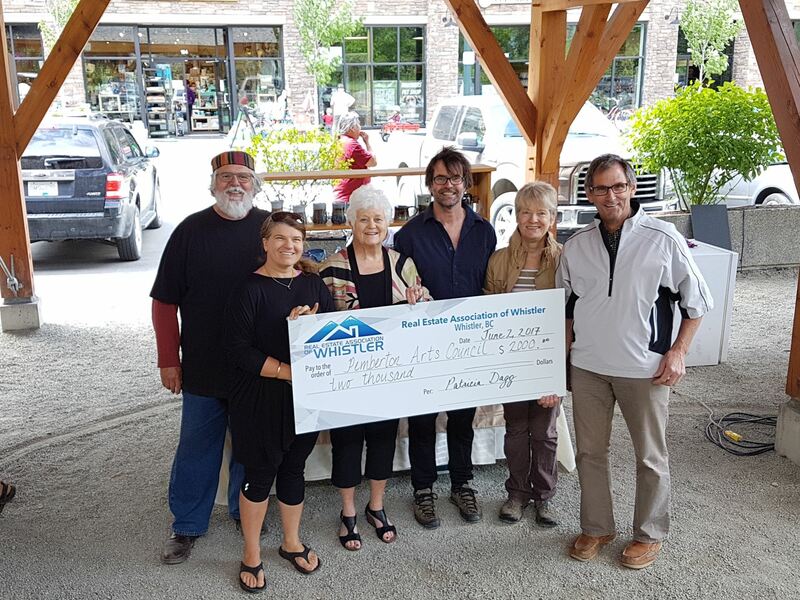 Thank you Real Estate Association of Whistler for your generous grant! With it PAC is looking forward to hosting one great celebration of local arts- November 25th with Mountains of Art and working towards bringing more art programing to our community!